I had no reason to think that Tokyo would be anything other than amazing, and yet I left the states feeling a bit silly about the decision to add a layover there. Was it really worth the cost? The hassle? Flights from the states went fine and dandy. It’s been a few years since I’ve flown to Narita, and never via Houston. I’d forgotten just how long a near-14 hour flight can feel. A bit too much time to be stuck in ones own head. Landing in Narita, I took the Narita Express into Shinjuku station. A bit of an aside about Japanese user interface design: I don’t think it’s necessarily bad, but it reflects an entirely different way of thinking about tasks. For example, buying tickets on the N’Ex, you first select the type of train you’d like to ride, then the destination. But not all the trains go to all the destinations, so I was left doing trial and error to narrow it down. Eventually, I gave up and bought a ticket from an actual human. This felt like a defeat. That said, every single person I interacted with in Japan was warm, friendly, and perfectly tolerant of my less-than-zero knowledge of Japanese. My generous host for the day, Rachel, wasn’t available until later on in the evening, so I did my usual “just landed in a new city” ordeal – pick a direction and start walking. Tokyo is one of the most pedestrian friendly cities I’ve visited. Drivers seem to respect pedestrians, pedestrians respect walk symbols, and there’s always plenty of space to walk. 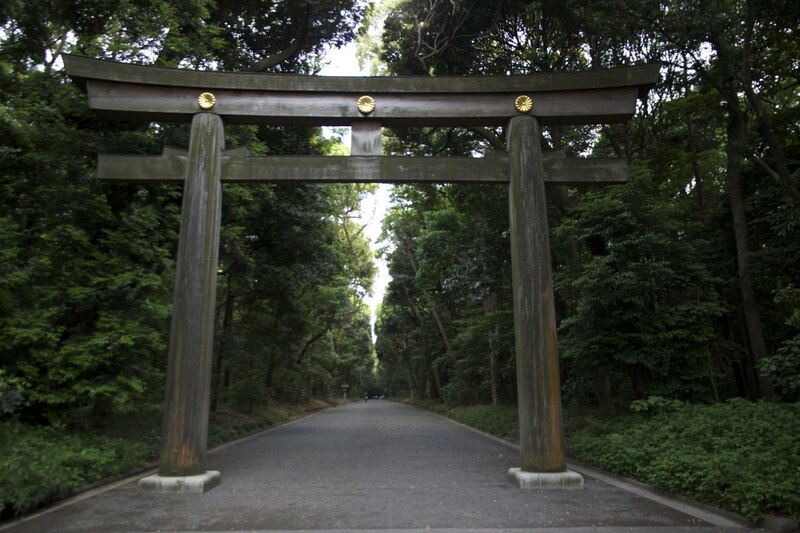 Eventually, I ran into Yoyogi garden and the Meiji Jingu Shrine. In the middle of one of (if not the) world’s biggest cities. It’s an amazing place – quiet, beautiful, with lots of playful crows and tree-dappled sunlight. After meeting Rachel, I got a tour of the area. Tokyo mixes big modern boulevards with ancient back-alleys in a way I’ve not experienced anywhere else. There isn’t the sense of conflict between modernity and tradition the way there is with hutongs in Beijing. We wanted the Golden Gai district, as well as a variety of others nearby, before settling in for dinner. From there, it was back to Rachel’s house for some serious sleeping. Tokyo surprised me in many ways. First, people talk about it as though it’s absurdly expensive. Obviously I was only there for a day, and perhaps didn’t see it, but I found it to be highly reasonable. Food costs in particular seemed very low. Once you’ve wrapped your mind around the sensory overload, navigating is easy as well. Google maps provides excellent mass-transit directions, and the pedestrian friendly nature means you’re never fighting traffic. Getting around without any knowledge of Japanese also seems perfectly doable. Restaurant menus are a bit of a struggle, but as long as oyu’re not afraid of food, a bit of educated guessing goes a long ways. So sure, I knew Tokyo would be cool, how could it not be? What I found though is that, despite it’s massive size, it can also feel cozy and comfortable. Now, I’m on a plane bound for Shanghai. Mt. 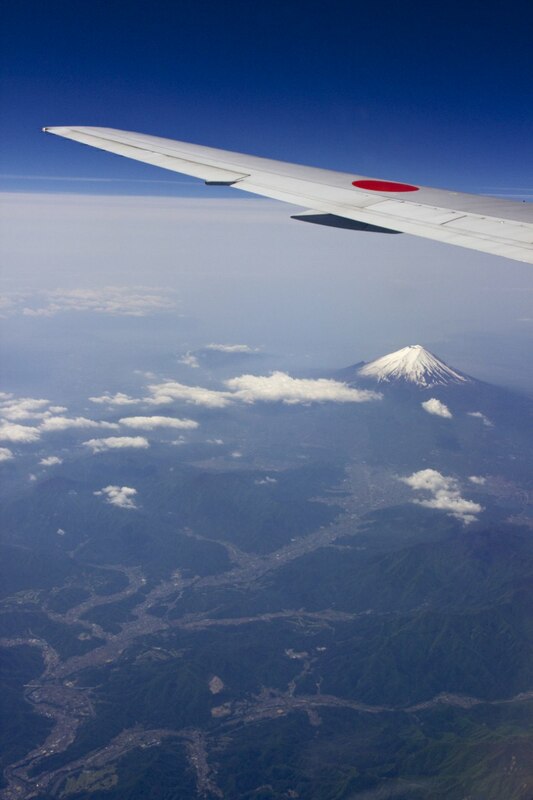 Fuji is out my window. A brief layover and I’ll be in Hanoi, and then the trip can “really” begin. Amazing photo of Mt. Fuji! Glad the brief sojourn in Tokyo was such a good experience. Will be eager to hear more about what happened in China. Previous Previous post: Why Vietnam?